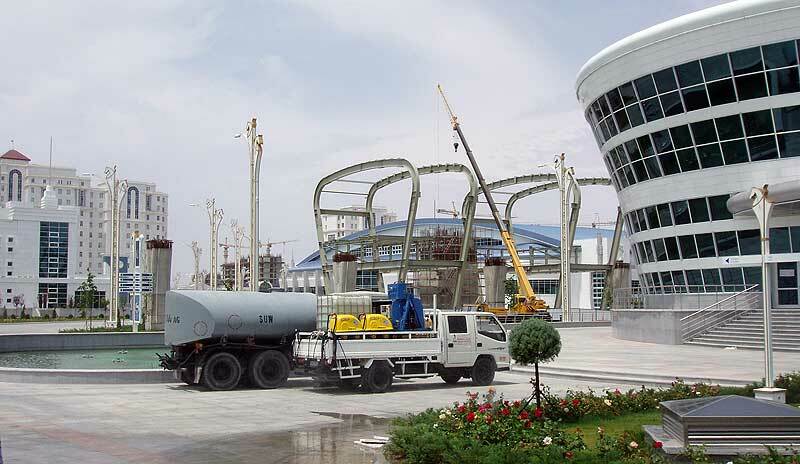 May 2014 photos courtesy of Intamin Transportation Ltd.
Work is well under way on Intamin's Olympic Monorail in Ashgabat, Turkmenistan. 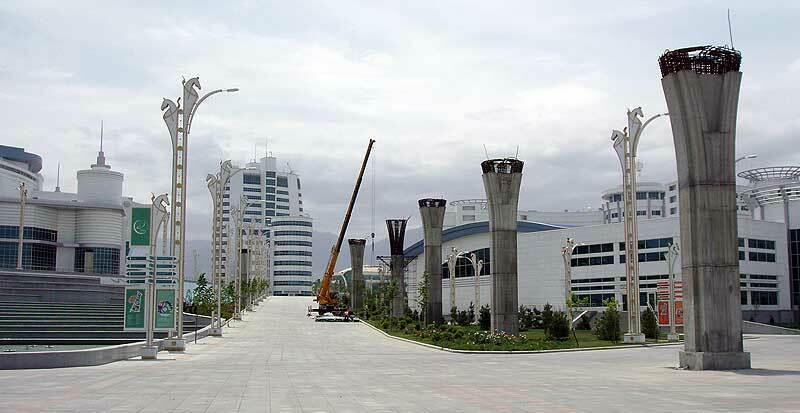 This art rendering shows the 5,200-meter, single-lane loop that will service the Olympic Village during the 5th Asian Indoor and Martial Arts Games in 2017. Elegant columns are going up at a quick pace. The artsy look of the village architecture, including light standards, matches the monorail design very well. Stations 3 & 4 are seeing progress, framework has appeared onsite. The first steel beam is also onsite, ready for station installation. 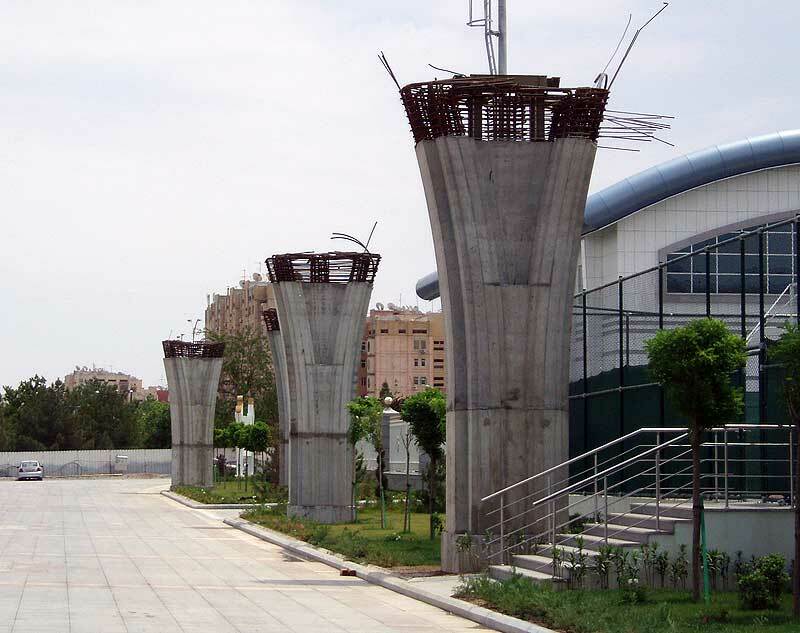 Turkmenistan law requires emergency walkways on both sides of the track. This beam features a short segment of prototype walkway, which is arguably a bit more elegant that some other walkways we've seen in recent years. 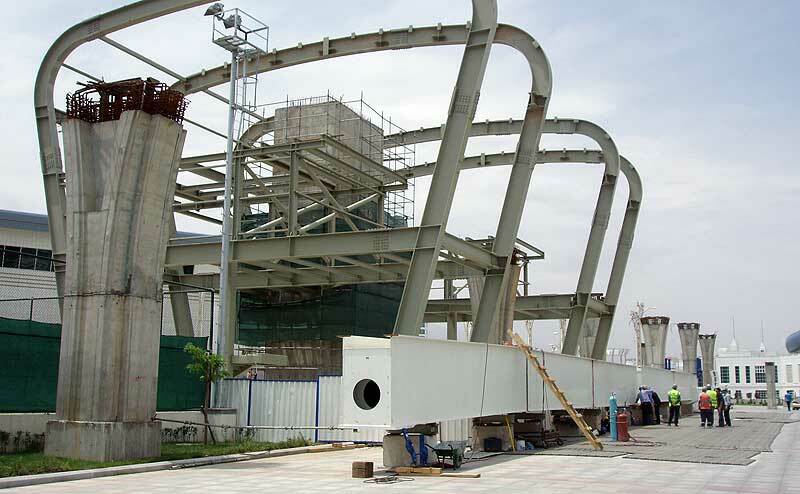 Thanks kindly to Intamin Transportation for these update photographs!